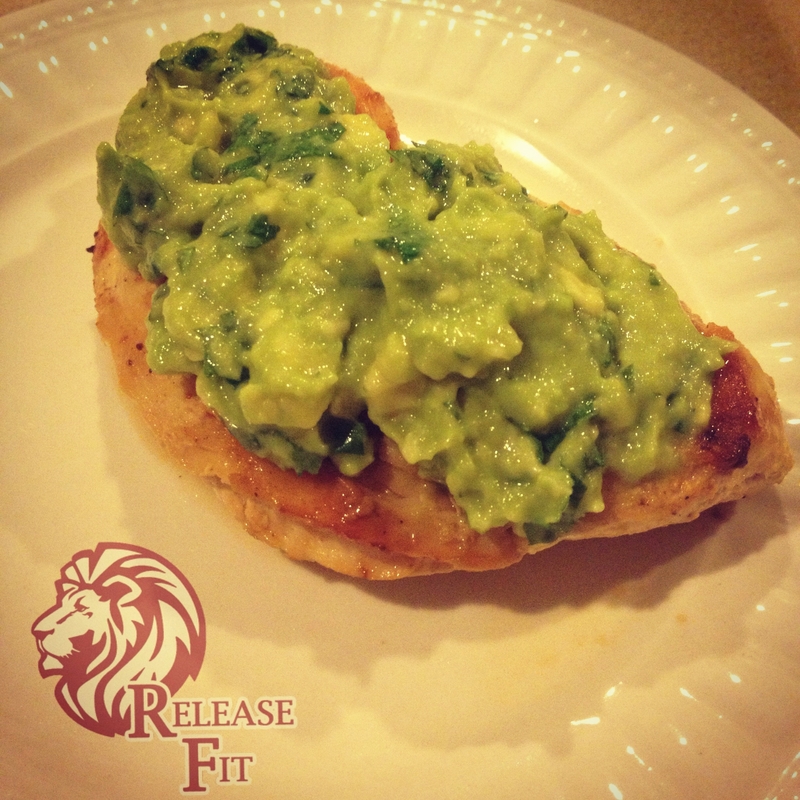 Grilled chicken breast topped with an avocado salsa. Mix together one diced avocado, 2 tablespoons of cilantro, and juice from half of a lime. Addition of onion, tomato, and jalapeno pepper are optional. Cook four 4oz chicken breasts on a skillet until done.